"A leak may result in a defeat and losses among servicemen." 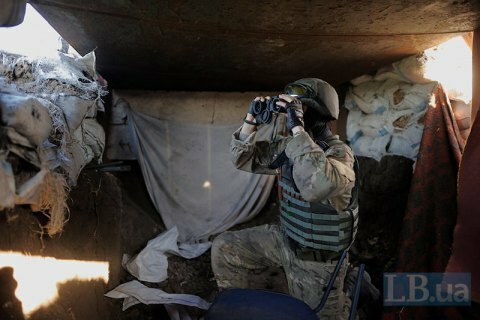 The command of the Joint Forces Operation (JFO) in Donbas has asked the media and bloggers to avoid reporting tactical movements, according to its press centre. "The implementation of tasks to improve the tactical position of troops requires thorough efforts to prepare and carry them out. As our heroes are doing this difficult and dangerous job, army units of the Joint Forces require certain privacy and confidentiality. A leak of information may result in a defeat and losses among servicemen." "All in good time, both the liberation of the territory occupied by the Russian terrorist troops and the publication of information about results of our heroes' work within the Joint Forces," the HQ said. The JFO took off on 30 April after President Petro Poroshenko declared the antiterrorist operation completed.